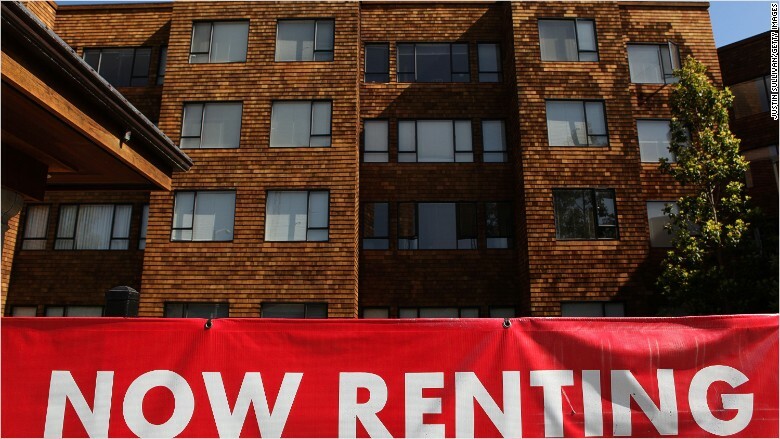 Bad news renters: Don't expect much relief in 2016. Next year, experts predict rents will rise faster than inflation, increasing around 3%-5% on a national level. "We are already in a rental affordability crisis, and 2016 won't let up," said Svenja Gudell, chief economist at Zillow. In the years following the financial crisis, vacancy rates have plummeted as demand for renting rose, sending rents soaring. But here's the good news: While rents are expected to continue to climb next year, the pace will start to slow in some areas. Prices in the country's hottest rental markets, like San Francisco, Boston and New York City, are expected to plateau, according to Devin O'Brien, head of strategic marketing at rental platform Zumper. Spillover from those hot markets, however, will push prices higher in surrounding areas as renters get priced out. For instance, O'Brien expects price gains in Oakland to outpace those in San Francisco in 2016. And rents in Cambridge will see a major rise as renters seek a cheaper alternative to Boston. He's also expecting strong rental growth in Austin, Dallas, Houston and Miami. While new construction will bring new rental units on the market, it isn't likely to keep up with growing demand. Vacancy rates are so low in many places that it'll take at least a year for supply to catch up to demand, according to research from Yardi Matrix. Plus, new inventory tends to be high-end, which won't be much help with rental affordability. Rising mortgage rates could also push rents higher. The Federal Reserve is expected to start raising interest rates for the first time in nine years, which could keep people in the rental market longer. Higher interest rates increase borrowing costs, boxing out potential buyers and sending rents even higher. Paying more toward monthly rent makes it harder to save for a down payment and eventually become a homeowner, which could force people to stay in the rental market longer. Are you a baby boomer in the rental market or looking to make the move from a homeowner to a renter? We want to hear from you. Share your story and you could be featured in an upcoming article on CNNMoney.